Today, the Bit Fortune team reviews one of the trailblazers and most popular sites in the Bitcoin gambling industry, the BetChain casino. While there are many other casinos of this type, you can easily tell BetChain apart from the growing competition. With its provably fair games, 24/7 customer support, and secure gambling environment, it’s not surprising that thousands of players prefer this site over the others. In this BetChain casino review, we’ll take a closer look at the most important reasons behind its massive success. As an online gambler, here is what you need to know about this casino. The first thing that catches user’s eye after opening BetChain’s website is the big number of games. If you are looking for fun and quality gambling time, then your search is over. You can choose from various games like slots, roulette, poker games (including video poker), card games, jackpot games, as well as a variety of casual games. The massive 100% welcome bonus up to 1 BTC is probably the top reason many online-gambling enthusiasts choose this Bitcoin casino as their first online gambling destination. 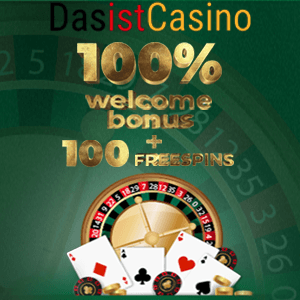 Once you make your first deposit, you will also receive 200 free spins. Note that you can use maximum ten spins a day, which equals to ten spins per day for 20 days. Also, keep in mind that to earn the free spins you need to make a minimum 5 mBTC, €10, 1,000 ₽, AU/C$15, 95 SEK/NOK, or 150R deposit. In addition to the huge bonus you get on your first deposit, you will also receive a 75% bonus on your second deposit up to 0.5 BTC, and 50% bonus up to 0.5 BTC on your third and fourth deposit. Furthermore, you can get up to 50 free spins every Friday. When it comes to getting this gift, you don’t need a BetChain no deposit code; just make at least one deposit every month. So, even if you haven’t deposited that specific week, you are eligible for the BetChain no deposit bonus for Free Spins Fridays. Other weekly bonuses that can enrich your gaming experience include – 15% Cashback Thursday (up to 0.1 BTC) and 50% Reload Wednesdays (up to 0.25 BTC). Also, there are monthly tournaments with prize pools going up to €500. Speaking of bonuses, we have to mention the Happy Hour bonus in this BetChain review. You can receive a valuable BetChain promo code straight to your inbox during this special promotion. However, you need to use it within one hour of receiving it, or it will expire. Finally, BetChain has a gigantic jackpot of €10,068,068.76! Payment options – Unlike many other Bitcoin casinos, BetChain allows you to make deposits in Euros, convert them into Bitcoins and withdraw what you gain in Euros. In addition to Bitcoins, you can use other cryptocurrencies such as Litecoin, Dogecoin, Ethereum, and Bitcoin Cash. Software quality – BetChain works with proven software providers that use the latest game-building technologies. The games are provably fair and have fast load and response time. Plus, the website is fully responsive and supports different screen sizes. Customer support – For any help you might need, you can contact their customer support 24/7 through live chat, contact form, or email. BetChain uses the latest security and encryption technology to ensure 100% secure depositing and safe BetChain withdrawal procedures. Also, the strict data protection regulations guarantee the player anonymity. However, only players where online gambling is legally regulated are eligible to play on this platform. If you have previously read our Bitstarz review and learned about this casino, it won’t be difficult for you to understand BetChain’s values, since these two casinos share several similarities. 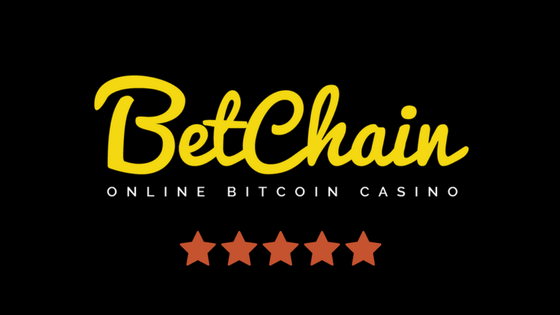 By summarizing this BetChain casino review, we conclude that this online casino (previously available at betchain io) is a destination where online gamblers can have fun while enjoying the highest level of security and protection.